Do you want to lead your projects successfuly? 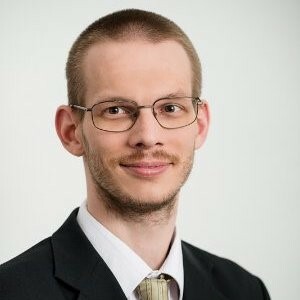 Stefan Ondek is a project management professional. He is the founder and managing partner of POTIFOB, a group of training & consulting companies helping people and organizations manage their projects, programs, portfolios, changes and IT well. He to date trained personally over 2300 professionals from over 20 countries in project management. Stefan is an author and reviewer of multiple works around project management. Among others, he is one of the authors of PRINCE2® 2017 Foundation exam questions, a volunteer reviewer of the PMI® PMBOK® Guide 6th Edition, PRINCE2 2017 & The Standard for Program Management 4th Edition. He also is the Lead Reviewer of an official localized version of the PRINCE2: 2009 Glossary. Stefan holds a number of certifications including PMI PMP®, PRINCE2®, PRINCE2 Agile®, MSP®, MoP® & P3O® Approved Trainer, PRINCE2, PRINCE2 Agile, MoP & P3O Registered Practitioner, MSP Advanced Practitioner. He also held an IPMA® certification (2006-2016 B, 2002-2005 C, expired) and was a board member of a national IPMA member association for 1 election term (2009-2012). He is an active PMI member. Should you like to contact Stefan, please write to ondek@potifob.com. 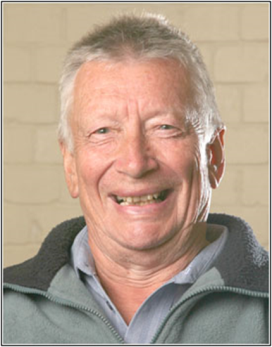 Colin Bentley has been a project manager since 1966 and has managed many projects, large and small, in several countries. He has been working with PRINCE2, PRINCE and its predecessor, PROMPT II, since 1975. He wrote the major part of the PRINCE2 manual and is the author of all its revisions until the 2009 version. He was the Chief Examiner for PRINCE2 from its beginning until 2008 and wrote all original Foundation and Practitioner exam papers. Now retired, he has had over twenty books published, lectured widely on PRINCE2 and acted as project management consultant to The London Stock Exchange, Microsoft Europe, BBC & other organizations. He still writes books on project management. Should you like to contact Colin, please use the form at https://www.colinbentley.co.uk/contact/. 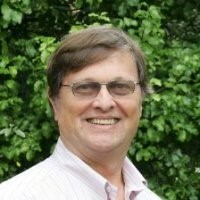 William R. Duncan is one of the world's leading project management experts. He was the primary author of the first edition (1996) of the PMI PMBOK Guide. He remains active in standards development today with the American Society for the Advancement of Project Management (asapm), the International Project Management Association (IPMA), and the Global Alliance for Project Performance Standards (GAPPS). In 2006-2016 he was Director of Certification of asapm (IPMA-USA). He is the founder and owner of Project Management Partners. Duncan’s specialties are all things project management from benefits realization to success criteria, from certification to standards. His training programs are learner-centered to ensure the development of useful skills. His consulting practice emphasizes doable recommendations for real benefits. Should you like to contact Duncan, please write to wrd@pmpartners.com. Get the Project Management Guide for FREE and manage your projects successfully. Gain FREE detailed training map which help you to decide how to improve your professional carier. Get FREE PRINCE2 Process Model and gain detailed overview of PRINCE2 methodology.